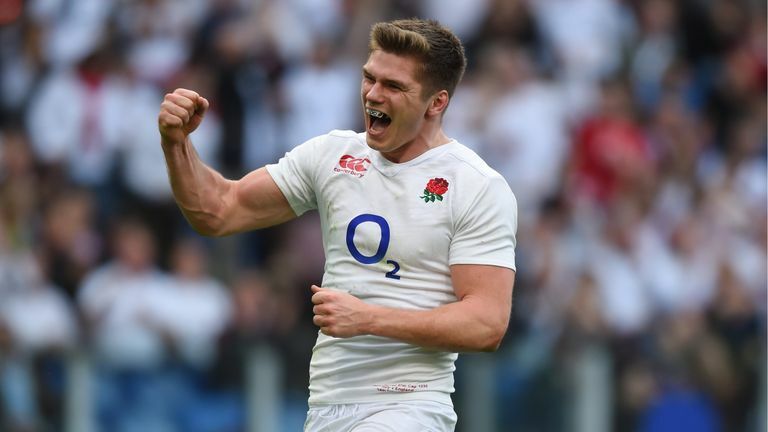 Owen Farrell slotted a 73rd-minute penalty as England edged South Africa 12-11 at Twickenham on Saturday. South Africa went into the break two points ahead at 8-6 after S'bu Nkosi's try, the only one of the game, and Handre Pollard's penalty were answered by two Farrell shots at goal. Elliot Daly then gave the hosts the lead for the first time in the 50th minute, before Pollard cancelled out his effort. However, victory was secured by Farrell when he sent the ball sailing over from a scrum penalty with seven minutes remaining. There was a big moment when time was up, with the TMO looking at a dubious tackle from Farrell on Andre Esterhuizen in the final play of the game, but the referee said there was not enough evidence to penalise Farrell and called full-time. It was a relieving win for Eddie Jones and his troops, who welcome New Zealand next week before taking on Japan and Australia in the remaining Quilter Internationals in November. England were lucky to only be two points down at half-time after making a poor start to the game. Maro Itoje gave away an early penalty on a South Africa throw-in at the lineout, and after the visitors secured possession from the resulting throw, Kyle Sinckler was pinged for offside, with Pollard giving the Boks a three-point lead from the tee. Itoje transgressed again in the 14th minute, this time straying offside at a maul, and Pollard kicked to touch to set up a South Africa attack. 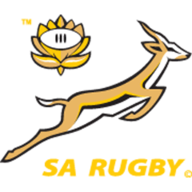 The Boks were in a threatening position when Nkosi did brilliantly to take a crossfield kick, and Itoje's indiscretion of not rolling away at the tackle saw him sent to the sin-bin in the 16th minute. 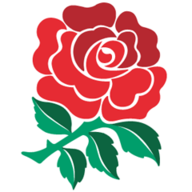 Pollard kicked to the corner from the penalty, and when South Africa won yet another penalty from the driving maul, referee Angus Gardner put England on a team warning. However, from the kick to the corner, Malcolm Marx threw the ball over the despairing reach of Pieter-Steph du Toit, and England cleared their lines through Ben Youngs. Both scrum-halves utilised the box kick throughout the game, and when Aphiwe Dyantyi knocked one such kick on and Du Toit played it from an offside position, Farrell pointed to the posts and levelled the scores. The Springboks then had another bright period, but failed to come away with points as a scrum penalty was kicked to the corner and Marx once again overthrew at the lineout, this time Duane Vermeulen missed the target. England had managed to get out of jail again, but it was not long before a South African attack finally bore fruit. Damian de Allende was the man who made the initial break, the England defence struggling to keep him down, and Ivan van Zyl's high-tempo play allowed the Boks to attack down the right, with Warren Whiteley providing the final pass to Nkosi for the only try of the game. Pollard missed the conversion, and Farrell reduced the five-point deficit to two when the Boks were caught offside during a rare England attack in South African territory, bringing down the curtain on the first half. England started the second half far more brightly, and had South Africa pinned near their own tryline early on, but a pair of silly penalties - the first from Ben Te'o when he dived on Van Zyl on the ground and the second for early pushing at the lineout drive - relieved the pressure for the Boks. When De Allende was caught not rolling away at the ruck in the 50th minute, Daly slotted a long-range penalty to give England the lead for the first time in the game. A clever Farrell kick over the defence then pinned the Boks back again, but once again England were their own worst enemy as George Kruis went into the side of the driving maul to hand South Africa a penalty from which to clear their lines. The game remained nip and tuck, and it looked as though the Boks could claim the spoils when replacement Thomas du Toit got over the ball and won a penalty in the 67th minute. Pollard reclaimed the lead for the visitors with his boot, but replacement prop Du Toit turned villain six minutes later. England had a sweeping move down the left which saw Brad Shields released with only five metres to go, before his offload in the tackle went forward to hand the Springboks a scrum in the corner. Du Toit collapsed the scrum and was penalised, and Farrell slotted a superb kick from near the touchline to hand England a one-point lead. A dominant South Africa scrum then earned the visitors a long-range penalty, but Pollard's kick attempt shaved the right-hand upright. The Springboks had a period of encouraging attack in the England 22 shortly thereafter - with two minutes remaining in the game - but inexplicably neither Pollard nor replacement Elton Jantjies dropped into the pocket to offer a drop-goal option, and the opportunity went begging through a Lood de Jager knock on. England kicked the ball to touch to relieve the pressure, giving the visitors one last chance to claim victory. The Boks went through the phases, and it looked as though Pollard would be given another long-range shot to win it when the TMO asked Gardner to check a hit from Farrell on Esterhuizen, but Gardner deemed Farrell to have attempted to wrap his arms, and called time on a tense Twickenham encounter.